Revenue in the Ride Hailing segment amounts to £490m in 2019. Revenue is expected to show an annual growth rate (CAGR 2019-2023) of 6.9%, resulting in a market volume of £640m by 2023. User penetration is 12.1% in 2019 and is expected to hit 14.3% by 2023. The average revenue per user (ARPU) currently amounts to £161.79. In global comparison, most revenue is generated in China (£27,630m in 2019). The Ride Hailing segment covers online platforms and apps that bring together passengers and drivers. It includes so-called Transportation Network Companies that offer rides in private vehicles. Thereby the passenger requests a ride and will then be matched with a driver. Uber and Lyft are examples of such companies that match passengers with drivers and charge a commission for this service. Taxi companies that let users book rides through an app (e.g. myTaxi) are included as well. The booking process, however, needs to be carried out through a digital channel. Booking or purchasing, respectively, can be carried out from both a desktop PC and a mobile device (smartphones and tablets). The existence of an online checkout process on the respective booking page is a mandatory requirement. The revenue in this case represents the entire booking volume. Not included in the definition are car sharing services that enable users to rent cars that they drive themselves (station-based or free-floating) or long-distance ride sharing services provided by ride sharing agencies. Reading Support Revenue in the Ride Hailing segment amounts to £490m in 2019. Reading Support The Ride Hailing segment is expected to show a revenue growth of 9.5% in 2020. Reading Support In the Ride Hailing segment, the number of users is expected to amount to 3.8m by 2023. Reading Support User penetration in the Ride Hailing segment is at 12.1% in 2019. Reading Support The average revenue per user (ARPU) in the Ride Hailing segment amounts to £161.79 in 2019. Reading Support In the year 2017 a share of 46.9% of users is 25-34 years old. Reading Support In the year 2017 a share of 79.7% of users is male. Reading Support In the year 2017 a share of 51.1% of users is in the high income group. 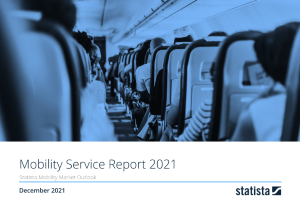 Reading Support With a market volume of £27,630m in 2019, most revenue is generated in China. Reading Support With a rate of 32.2%, the user penetration in the Ride Hailing segment is highest in Singapore. Here you can find more studies and statistics about "Ride Hailing".